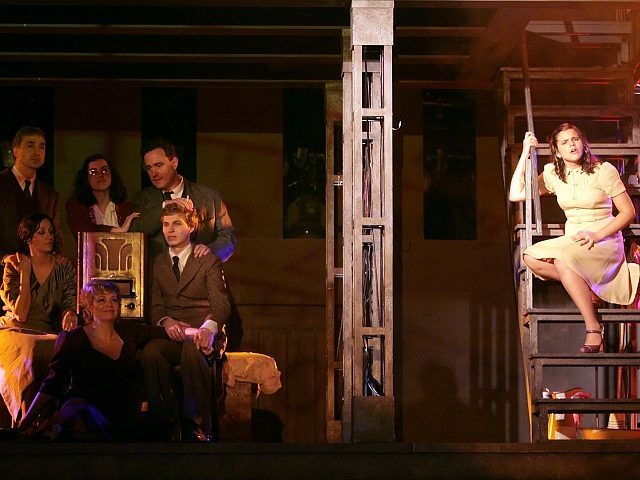 A modernized theatrical production of The Diary of Anne Frank in Los Angeles will re-imagine the Jewish Frank family hiding from Nazis with Latino immigrants hiding from Immigration, Customs, and Enforcement (ICE) officials, its directors have revealed. The production, directed by former Roseanne writer Stan Zimmerman and scheduled to run throughout September, “was inspired by the true story of a Jewish woman in Los Angeles who created a ‘Safe House’ for a Latina mother and her two daughters after her husband was deported by ICE.” The play’s characters in the attic will be played by a LatinX cast, according to a promotional website. “Director Stan Zimmerman has cast his production of the classic play The Diary of Anne Frank, by Frances Goodrich and Albert Hackett and newly adapted by Wendy Kesselman,” the play’s promotional content reads. “The cast includes Keith Coogan (“Adventures in Babysitting”), Tasha Dixon (Miss Arizona USA), David Gurrola (“Insecure”), Heather Olt (“The Middle”), Raquenel (“My Life is a Telenovela”), Robert C. Raicch (“Are We There Yet?”), Teddi Shaffer (“The Open Book”), Raymond Abel Tomas, Emiliano Torres (“Shooter”) and introducing Genesis Ochoa as Anne Frank,” it continues. In the original version of the true story, 13-year-old Anne Frank details her life in her diary after her family is forced to hide in an attic in Amsterdam during the Nazi occupation of the Netherlands. After more than two years of hiding, the Frank family is discovered by the Gestapo and sent to a Holocaust extermination camp, where only Anne’s father Otto survives. The controversial play comes amid growing comparisons by major Hollywood figures and the left-wing commentariat between the Holocaust and the immigration enforcement policies of President Donald Trump’s administration. In March, CNN compared ICE agents to Nazis on a news article on the Jewish woman on which the upcoming production is based.